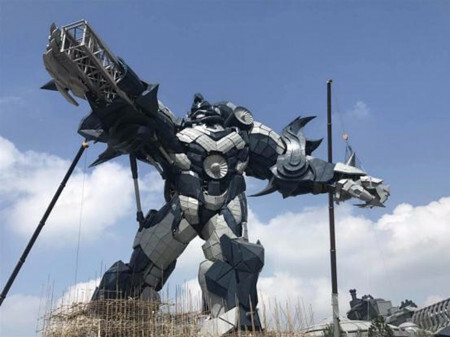 China's first science fiction theme park opened in Guiyang, the capital city of Southwest China's Guizhou province, on Sept 25. 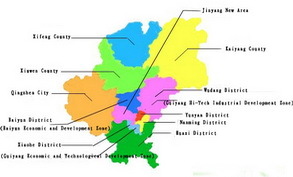 Located at the Shuanglong Airport Economic Zone, the park is the first phase of the Shuanglong Science Fiction Valley project which spreads across 2,000 mu (133.33 hectares) with a total investment of 10 billion yuan ($ 1.5 billion). 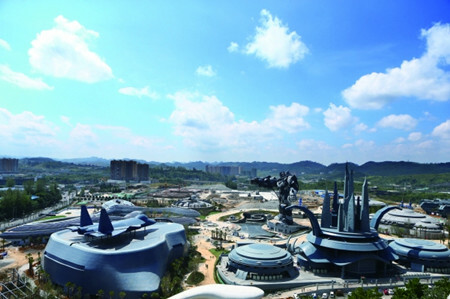 There are 15 different themed pavilions including spacecrafts, robots and UFOs to provide visitors to numerous different entertaining platforms. All of the pavilions use Virtual Reality (VR) and Augmented Reality (AR) technologies to help visitors get immersed in the scenery and learn about the latest science and technology. The 1,500-mu second phase will see the building of an entertainment industrial cluster for the development and application of science fiction technology.